In June of 2015 my family had the honor of joining the Miners Memorial Weekend on Vancouver Island off the cost of British Columbia. Organized by the Cumberland Museum and Archives the weekend is meant to honor the history of Cumberland, B.C., a coal mining boom town from the 1880s to the mid and late 1920s. 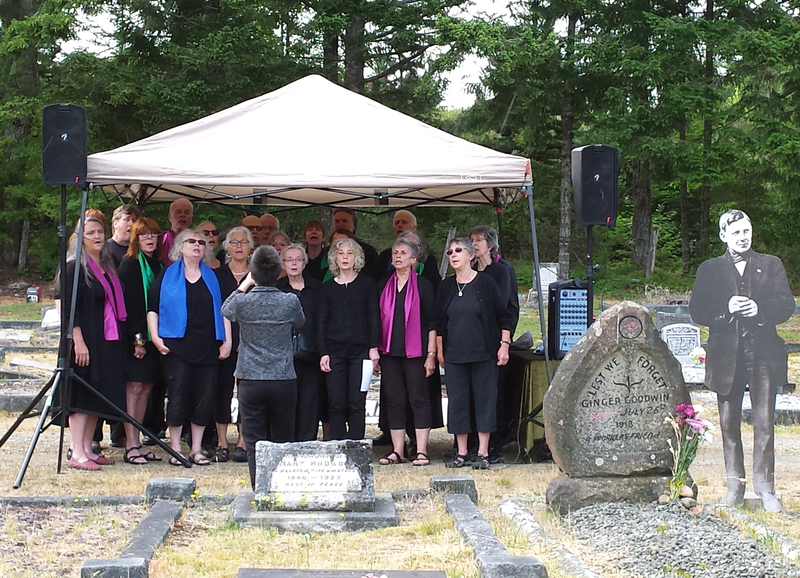 Though no coal has been actively mined in the Cumberland community since the 1960s, many towns people have embraced their heritage and chosen to honor the miners who suffered and died in the mines of the Comox Valley, and the labor organizers who fought for their benefit. One of the largest focal points of the Miner’s Memorial Weekend is Ginger Goodwin, a labor organizer who began mining coal in Yorkshire, England before traversing the United States to end up in Cumberland, B.C. A true hero of workers rights, he fought the companies and the economic systems that turned hard working families into the slaves of an industry. Goodwin would later be killed by a company hired gun on July 26, 1918 while hiding at his cabin in the woods above Comox Lake. His body was later brought to the Cumberland Cemetery where it was met by over 500 coal miners who had come to honor him. In the town of Cumberland, the truth about coal is being preserved just as a few are trying to preserve a similar history in the Appalachian Coalfields through the West Virginia Mine Wars Museum.